Welcome to Solis my friend! My Name is KonanTheBarbarian and I’m known in the community for my drafting skill and was the first one to write a beginner’s guide to SolForge drafting. I’m also a member of Ghox’s Socks and today I want to show you how to get started with SolForge. There are a couple of things that you should know if you are new to the game and want to avoid the most common mistakes. Easy to learn, hard to master: There are always ways to improve and the game has an incredible depth once you get to know it better. Great community: If you go to the Steam chat or write in the SolForge Forum you will almost certainly find helpful assistance and nearly no flamers unlike in other games. Also the in depth discussions are great. Free: SolForge is free to play and quite generous in its rewards. Here are some of the most frequently asked questions seen in the forum, on Twitch, and in Steam chat from new players. 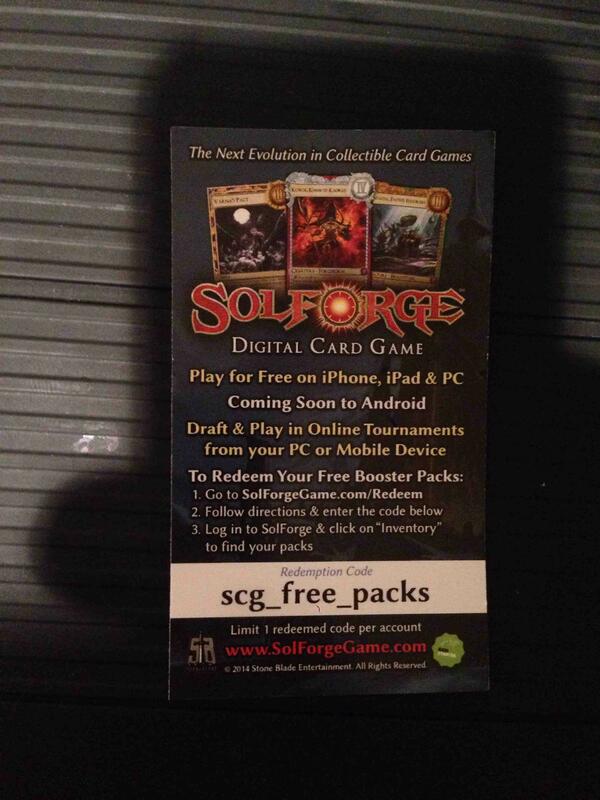 SolForge is free to play – what can I expect to get for free? SolForge is very different from other games since the daily rewards are quite easy to get and don’t require much grinding. With the new client there is also an economy update which lets you get considerably more cards and tickets every day. There are three kinds of rewards that you can get on a daily basis and they are fairly easy to get. 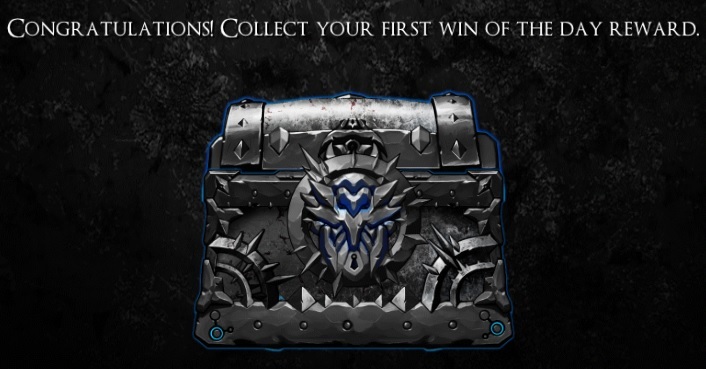 The daily login will grant you some silver and the first win reward will grant you a free booster pack every day. There is also a small chance (~0.5%) to get an upgrade to a 10x booster bundle. On top of that you will be able to get up to 3 tournament tickets every day. The tournament ticket is probably also the most valuable reward, so make sure to log in and get those tickets each day. 1. Daily Login: You only have to log in to get this reward, you’ll get around 2000-2500 silver for free. 2. Win 1 game: Win your first game (either against the Computer or against an online opponent) and you’ll get a booster for free. 3. Play 3 online games: Queue up against other opponents in an online match and after playing 3 games (you don’t have to win them) you’ll get a ticket for free. 4. Win 3 online games: You will earn a tournament ticket for your first 3 wins against online opponents. 5. Win 6 online games: After 3 more online wins you will get another ticket. With the release of set 3 SBE also introduced a very basic achievement system. For your first 10 offline and online wins you will each get a free legendary chest once (online wins also count as offline wins, similar to the daily rewards). So if you win 10 online games on your first day you will actually get at least 2 legendaries and 6 heroics, which can enable you to build more competitive decks from the beginning on. You will also get another legendary chest each if you win 100/1000 games (offline and online games). SBE decided to create a referral programm, where you can further profit and gain more free stuff when using Konan’s Solforge Referral Program Link. It has been currently taken down for a rework, but as far as I know the link still works. It might sound strange, but the first thing you should do when beginning SolForge is to create a second account. Multiple accounts are allowed and often also top players have a main account and a free to play account that they use. So why do you need that second account? The best thing about having a second account is that you can get your daily rewards – especially the three wins reward very easily. You can just send a challenge from one account to the other and you will get your online win reward if you concede. You could actually do this for all the three rewards and it will only take about 5-10 minutes to get the rewards for both accounts. Of course it is very important to keep practicing to improve your play, but if time is short or you find it hard to get the first online win reward it is the fastest way to get them. Another good thing is that you can practice draft more often on multiple accounts – I’ll explain that later. After finishing the short tutorial you should first try to beat the computer on the different difficulties or check out the first missions of the campaign. Usually the computer is more concerned about having a strong board position, than to play cards that are great for the late game, so if you level the right cards without getting crushed, you will soon find that you can win against the computer fairly often. I don’t want to get too much into detail about tactics here, but the most basic rule is to get positive trades (e.g. blocking a 4/4 creature with a 5/5 or a 4/6 creature that survives) or at least even trades (both full health creatures die) with creatures that are good when they are leveled. The same rule also applies to spells. Only cast them on one of your creatures if you are confident that your opponent has to spend two cards to kill that creature. Just be aware that the first four basic missions of the campaign are fairly easy and the next ones a bit more challenging. For the mission beyond the first four you will need to bring your own deck – I have tested them using unheroic deck lists from Konan’s Guide to Beginner Decks and it’s definitely possible to beat the computer with that decks. The best and cheap deck to beat them all is probably the UT deck which you can find below. You will get 1 heroic for each of the first four missions and one legendary for each of the last 2 missions. Pretty good, huh? After you’ve mastered the basics you may find these in-depth articles helpful to improve your game, just be aware the articles are quite old already: Introduction to Blocking, Care and Feeding of Underdrops, Fundamentals of Lane Placement. Is there a good cheap deck for the campaign missions? Yes there actually is an UT Variant which is pretty good at beating the campaign mission. It’s basically a deck with only big cheap creatures and Oxidon Spitter simply negates Armor effects that are used in some missions. The whole deck costs only 2 x 3000 = 6000 Gold for the rares and 27 x 150 = 3750 Gold for the commons. Why am I getting bashed when playing against online opponents? The starter decks can be improved quite fast – especially if you get some good heroics/legendaries from your achievements and drafts, but against more streamlined decks they are not really that competitive. I can definitely recommend to forge a tournament winning unheroic deck. You will find more information about forging and deckbuilding at the end of the article. Don’t worry you are not a bad player when you lose a couple of games in the beginning! You might take it as a challenge, but be aware it might be an uphill battle in the beginning (with the starter decks). When you play in the ranked mode it can be rough when a season resets at the beginning of a month, but the good news is that players in gold ranks or better (Hearthstone lvl15 or better) will be reset to silver ranks and you should not face them while still in the bronze ranks. Another good news is that once you reached a new rank (silver, gold, platinum, titanium), you can’t go back up to beat new players. I like the game, but why does my opponent always draw more lvl3 creatures than I do? What you just experienced is called level screw in Solforge. It’s similar to mana flood in Magic (or having a bad opening hand with only high costed cards in other card games). The biggest reason why you mind find it frustrating is that in Solforge it’s not straightforward what you can do about it. Someone actually did the math and showed it’s only around 10% of the games (that go to rank 3) that are determined by level screw (twice as many where it has a big influence on the game). So yes it exists and can be frustrating, but at higher levels of play it actually doesn’t play a big role, since decks can be build to mitigate level screw. A great example of underdrops are so called “Bound” creatures like the Shardbound Invoker above. In addition soft level gated cards (cards that affect lvl2 creatures with their lvl1, e.g. Death Current, Spiritcleave) and creatures with more than 6 attack are also good underdrops. What is the best way to grow my collection? First of all – the best way is to simply do your dailies every day – especially the tickets are very important. As I said before it before you can get them fairly easily even if you can only spend 5-10 minutes for SolForge that day (if you use the method to send challenges and concede). You will get two currencies for free in SolForge – silver and tickets. Let me explain what to do with your silver first. There are two ways to spend your silver in the beginning, buy cards for silver or use the silver to buy boosters. If you want to get specific cards for your deck or want to build a specific deck forging is your best option (go to the forging tab of the collection screen). Especially rare and common cards are very cheap to acquire, so you don’t loose a lot if you forge them (and open them in boosters later). If you want to have a good deck to start with I can definitely recommend to forge a good unheroic deck. You will find more information about forging and deckbuilding at the end of the article. The silver from the first 2-3 days of daily rewards should be enough to get the core of the deck. Try to improve that decks by putting in some good heroics and also add legendaries if you get lucky and catch some early on. Someone did the math and showed that if you have less than 40% of a full (legendary) collection (and don’t want to get specific cards) buying boosters is the best value for silver option. It’s also definitely the best way to get most of the heroics. With the tickets that you get from your three online win rewards you should only enter draft tournaments in the beginning. There are some cheap competitive decks to play in the constructed tournament queue, but in order to be successful there you have to be a good player and will also need to know how to play against the best decks in the current meta. Before you start with the competitive queue, try to play on solforgeladder.com to test your deck against good players – this is definitely the best place to see if you are ready for constructed play. With the latest changes there is only one draft queue, which costs 4 tickets to enter and you can keep all the drafted cards (along with legendaries if you are lucky enough to get them). You are allowed to loose once and you get the best reward at 7 wins. Depending on your record will get 1 booster, some silver and tickets. What is really awesome is that even if you average 2:2, you can draft once a day (and gain 30 cards + a booster) if you get your 3 tickets. Also the draft wins count toward the wins that you need in order to get tickets. The Weekend Warrior tournaments have various constructed and draft formats (e.g. high rarity draft or low rarity constructed) and have pretty good payouts. Read more about them below. There is a short three minute introduction to draft (Introduction to Draft Video by SBE), which explains the very basics about draft. To enter a draft you need four tickets, but you get to keep all the cards that you drafted and can win booster packs. It takes some practice to be able to build a good draft deck and win more than you lose. In the beginning you shouldn’t expect to go better than 2:2. With more drafts your play and draft picks will improve and you can expect better results. Also your second account helps a lot, since you can draft twice as often for free with a second account. If you are willing to pay money for drafting always enter the draft queue with gold directly. This way the cards you drafted and the rewards will all be shareable. I wrote an article about draft deck building, which could really help for your first drafts (Introduction to draft deck building). You will also find some helpful draft tier lists in that article (directly after a new set drops they might not be up to date). What are weekend warrior tournaments? If you ever played Hearthstone you will be familiar with their Tavern Brawl events – they actually copied this game mode from Solforge and it’s more or less the same. Weekend Warriors run from Wednesday till Sunday and vary between constructed and draft events. They are cheap to enter and the payouts are pretty good. On top of that you only need a winrate of 60% in order to go infinite in those tournaments – so it’s a pretty good mode to grind rewards. I should also mention the Guaranteed Legendary Draft that pops up once in a while – it’s like normal draft, but the first pick will always be a legendary that you can keep. The entry fee is 7 tickets higher than normal draft, but it’s a fun format and a really great way to get lot’s of good legendaries. I’m willing to spend some money – what should I buy? 1. Buy the one-time 10-ticket bundle for 200 gold(this lets you draft 3 times right away). 2. Buy the one-time booster bundle (for deck-building fun) for 200 gold. 3. Buy the entry to a draft tournament for 560 gold (all the cards that you get from the draft will be shareable). If you want to spend some more money, the first thing to buy each month is the monthly discount 10 booster bundle, since it’s great value. If you want to grow your collection faster it makes sense to buy booster bundles (or preconstructed decks), especially when a new set comes out. New cards are always in high demand and worth more, since it costs double the silver to forge a new card until the next expansion drops. If you want to build a good deck, the best way is to buy preconstructed decks from the Solforgame Shop. I have posted a competitive tier1- tier2 Mono Uterra deck (dependent on the meta) at the end of my Konan’s Guide to Beginner Decks article. It will cost $10 for the needed preconstructed decks and “only” needs 6 additional Heroics, while the rest of the deck is very flexible. In general the preconstructed decks are among the best value for money option, especially if you need any of the legendaries they contain. There is a nice overview which heroics/legendaries are in which preconstructed deck. You might also want to check out the Preconstructed Deck Deal on Steam. Probably 2-3 times a year it’s on a 50% sale and then it’s really a great deal. You will get in two or three nice decks with some good legendaries and some in-game currency that you can use to buy one time deals in the in-game store. Be aware that the decks will be given to the account that is logged into Solforge in Steam (make sure it is your main account). Why is there no game mode with only lower rarity cards? Kaelari, a community member, created an unofficial easy to use ladder (http://www.solforgeladder.com), which supports the unlegendary and the unheroic formats, which might be more appealing if you only have a limited collection. You will not only find a leaderboard there, but also nice prices for winning the ladder and some limited rarity tournaments. If you are interested in lower rarity tournaments, definitely check out his homepage, since Kaelari is hosting more and more of those tournaments and you can actually win some in game currency for just participating in the tournament (and playing all games). What is also pretty nice is that there is also support for various draft and banlist formats along with a so called Solforge league, where you have to build your deck from a limited card pool that grows every week. Can I trade my cards? SBE introduced the concept of sharing with the release of set 4. It is a little different from traditional trading concepts and the main idea behind sharing is that you can gift a shareable card to your friend once, while keeping an un-shareable copy for yourself. One shareable cards is therefore kind of worth 2 un-shareable cards – one for yourself and one for a friend of yours. Only cards that you bought with the gold currency (e.g. boosters/starter decks bought with gold) and rewards that you gain from entering a tournament with gold will be shareable. There is also a simple trading platform in Kaelari’s Ladder where you can enter the shareable cards that you have and the ones that you want. The website can search for matches from other players and you can start trading with them. 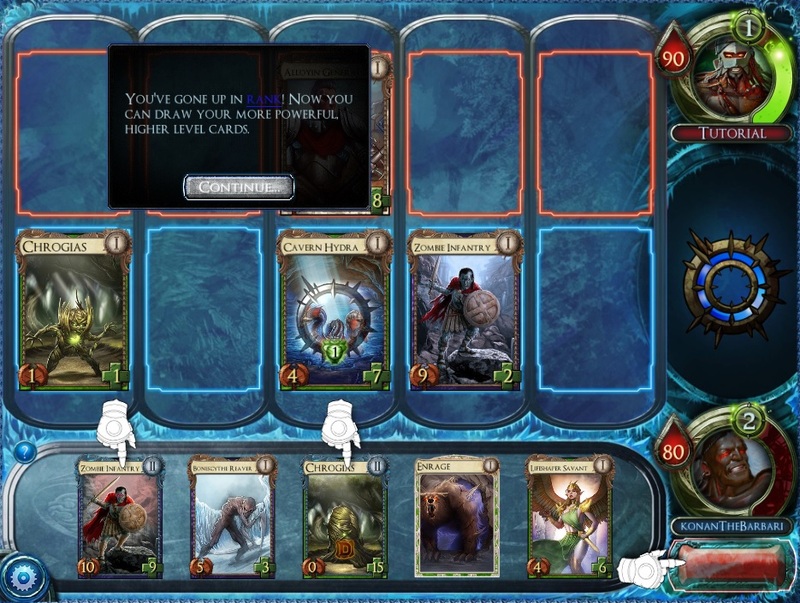 Kaelaeri even added support to synchronize all your shareable cards with the ladder directly from your solforge account. The other two main platforms for trading is the Community Sharing Thread on the Solforge forums and the SolforgeSharing site on reddit.com. Don’t be afraid to ask other players for commons/rares if you start with Solforge. Pretty much all set 1-3 commons and rares aren’t woth anything for players who have been playing Solforge for a long time. – before set 4 is was much easier to get shareable cards, since all tournament rewards from players that spend money on the game were shareable. This cards are therefore considered cheaper and you can often trade 2 old for 1 for newer legendaries. How can I buy specific cards? SBE recently introduced an option to buy specific cards, besides the card of the day sale. Just be aware that this can be quite costly, since you have to convert the ingame currency gold into silver in the ingame store. With the converted silver you are able to forge the specific cards you want to have in the deck builder. Cards that were released within the last month cost at least twice as much as older cards. How can I build a good deck for beginners? I have written a whole article – Konan’s Guide to Beginner Decks – about good decks to start with. Check it out, even if you just want to copy a decklist. I will update that article after a new set dropped once the meta has settled. Another great resource to look up staple decks is the community page Solforgeladder.com, which publishes the decklists after it’s tournaments (Past Solforgeladder results and decklists). I like this source since it includes rarity limited tournaments and is a great source for new deck ideas. I can definitely recommend to forge one of the unheroic decklists from that page (or from my article) and add your own spice to the deck by using some of the heroics and legendaries from your collection. I think it should be possible to forge a good unheroic list within a week if you save up some silver. Especially the commons are very cheap and you can forge them without any regrets (even if you will open them with boosters later). The Solforge card interactions are confusing, where can I find the rules? Another Ghox’s Socks Member Ximane wrote the most up to date Ximanes advanced-solforge rulebook that should hopefully cover all confusing cases and let you better understand what is going on. Most interactioins are pretty clear, but some interactions are random where others are completely deterministic. I still have much more questions! Where can I find help? Apart from that there is also the solforge reddit, the solforge forums and solforge facebook page. The people that stream solforge on twitch are usually also willing to help. Apart from that you can also comment here and I will most likely answer within a day. Is it possible to play Solforge on Linux/Mac? While there is no native support for Solforge for Linux/Mac, you can make it work on that platforms fairly easily and it got much better with the new client. 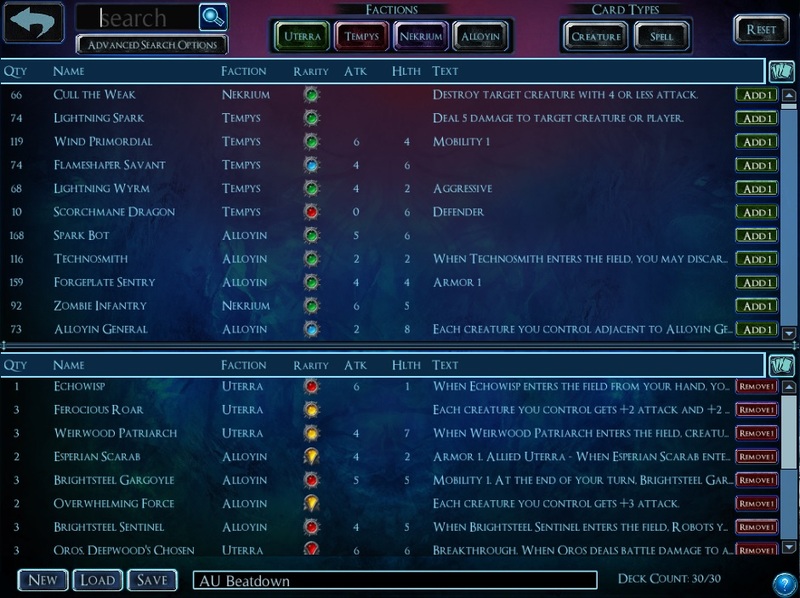 Mark a community member made it work and shares his Solforge on Linux guide on reddit. 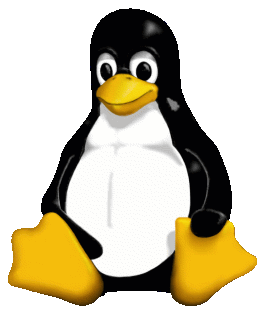 Similarily there is also a guide for Mac guide for you. Way way waaaaay beyond what I expected. Thank you! Great job Konan. One note: Making the most of starter deck isn’t linking. This is awesome! I will definitely be pointing new players to this article. Very well put together and easy to understand. Thanks! Konan, great job! I learned several new things from this guide. Thanks for taking the time to pack so much useful information into this article! Just updated the section and hope it is more clear now. I’m now introducing a couple friends to the game because the Android client just came out, and they are struggling in draft. I pointed them to this guide as well because it is STILL relevant even after all the changes, it was that good. My suggestion is simple, make this a Ghox’s Socks article and update it! It’d go great to add to your new players section, and you did such a good job on the first one I think it is worth revisiting. Thanks for all the effort you put into this community! Just got two heroics out of there. Solforge is such an awesome game, before I started I would not have thought a card game could be as deep and addictive as this. And the community is great! So much help you get, and everybody is welcoming to newcomers! Thanks a lot for that nice and so useful beginner’s guide. I made a french translation to share on french forum, links and copyrights working, i’d like to know if i can use it and share it with you. Yeah definitely I wouldn’t mind to share this article. Just be aware that I’m updating the article from time to time, so your version might not always be up to date. Hi! Thanks for the guide! I’ll be surfing around to learn more about the game specially about building the deck that I’ll love playing with.